The original piece for this was here, but I keep expanding the definition, so I thought it was time for a re-write. Your heroes have a lot of work to do, so it’s tempting to simply hit the ground running, and instantly start dumping problems on your hero’s head until he or she is ready to stand up and do something about it. But you can’t assume that we’ll automatically bond with your hero and choose to identify with him or her just because we’re told to. The audience is actually inclined to distrust and reject your hero, for all the reasons listed in the Laws. We won’t go anywhere with your hero until he or she wins us over. Logically, we know that this is fiction and we shouldn’t care about a bunch of lies, but you need to overcome our resistance and make us care, against our better judgment. So how do you do that? You need to give your hero at least one moment of humanity, which will break through that resistance and bond us to the hero. This is the moment that the audience forgets that this is fiction, and starts to believe in the character. The moment of humanity can take different forms. Funny: Usually, this just means cracking wise, usually in a perceptive way, as with the heroes of Casablanca, His Girl Friday, Ocean’s Eleven, Groundhog Day, and Juno. This can also bond us to put-upon characters who are too scared to be funny out loud, but have a very funny, perceptive, and self-deprecating voiceover, such as the heroes of The Apartment, Spider-Man, and Mean Girls. Silence of the Lambs: Clarice has quickly been defined by her meekness (feeling nervous in the elevator surrounded by taller officers, meekly withdrawing from the room where they’re discussing the Buffalo Bill killings) and humbleness (saying “Yes, sir” a lot), and she’s clearly intimidated by her boss, but she has a brief moment where she can’t help but remind him that he didn’t give her the grade she clearly feels she deserved. Tony Stark in Iron Man proves himself to be a boastful alpha-male billionaire in the first scene as he boldly shows off his new weapon to a group of generals, but then he asks to share a Hum-V with some soldiers and becomes self-deprecating and gregarious, making jokes about throwing up gang-signs in selfies. Hard-bitten bounty hunter Clint Eastwood has just toughed it out on a crawl across a desert with a perpetual nasty sneer on his face in the opening scene of For a Few Dollars More, but when he finally finds a little pool of water, he reluctantly lets his dog drink first. This is a clear-clut “save the cat” moment, but it works because it’s out of character. If this was a character who clearly spent his life helping dogs, we wouldn’t like him as much. 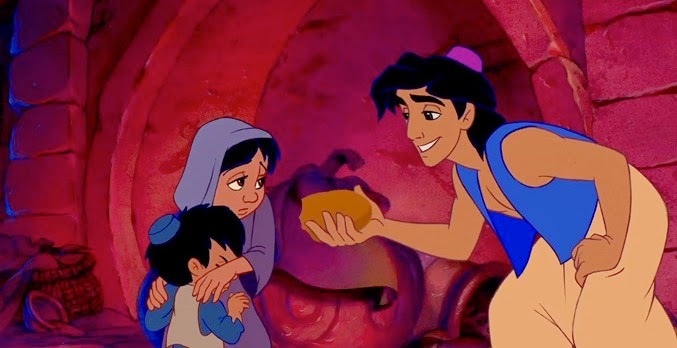 Likewise, Aladdin has a great song about being a fun-loving thief, but after he gets away with his bread, he reluctantly lets starving kids beg it off of him. Again, if he had stolen the bread for the kids, that would actually be more sympathetic, but less compelling. Otherwise, compassionate moments should be rooted in the hero’s own sense of emotional vulnerability. Ben Stiller stands up for Cameron Diaz’s mentally-disabled brother in There’s Something About Mary, because he feels like a fellow outcast. Katniss volunteers in her sister’s place in “The Hunger Games”, because she feels that she’s already hardened herself, and doesn’t want her more-innocent sister to lose her humanity as well, whether or not she survives the games. Blazing Saddles: Ex-slave track-layer Bart is ordered to sing an old slave song as he works, so he smirks and breaks out into an anachronistic rendition of “I Get a Kick Out of You”. We now love this guy. 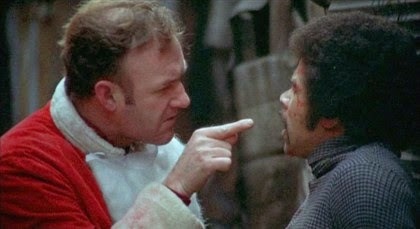 Breaking Away: As with Popeye, we love Dave because of his oddball choices. Why is this whitebread Indiana kid pretending to be Italian? Comically Vain: A variation of the “laugh-with” funny moment is the “laugh at” moment in which the character is comically vain. 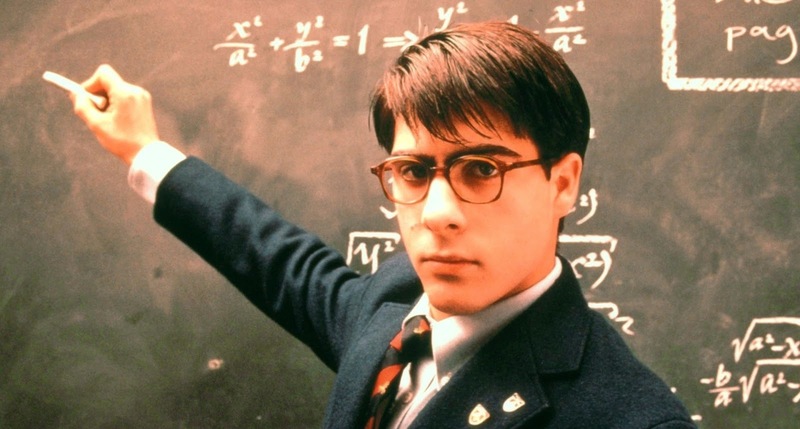 The hero of Rushmore imagines himself to a math genius and the hero of the school, only to wake up to a more modest reality. Ted on “How I Met Your Mother” describes to a girl in a bar his whole imaginary wedding in an adorably deluded way. 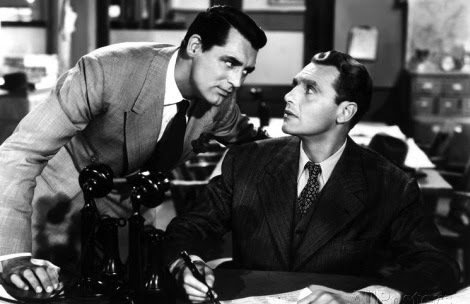 William Goldman, in his book “Adventures in the Screen Trade”, writes about how nobody was bonding with the titular hero in his movie Harper, so he added a brief scene in the beginning where Harper gets up in the morning, starts to make coffee, and realizes that he’s out of filters. Harper thinks for a second, then fishes yesterday’s filthy filter out of the garbage, brushes it off and re-uses it. Suddenly, the audience was ready to go anywhere with this guy. 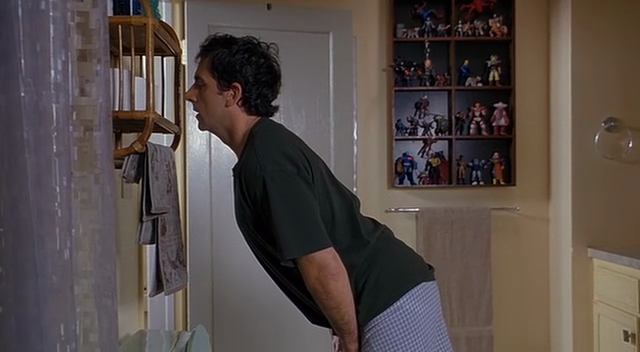 In this case of The 40 Year Old Virgin, it’s the very first shot: Andy tries to pee while coping with a painful morning erection. That’s certainly a unique-but-universal moment I never thought I’d see portrayed onscreen. No matter which kind you choose, these moments of humanity are essential for building quick identification. You have a very short time to get your audience to say, “I love this guy/gal” before they give up and tune out. Great stuff Matt. After reading your article I managed to come up with my own moment of humanity for the script I'm working on. Less than a quarter of a page and yet it completely creates the character in that single moment. Your book is fantastic. 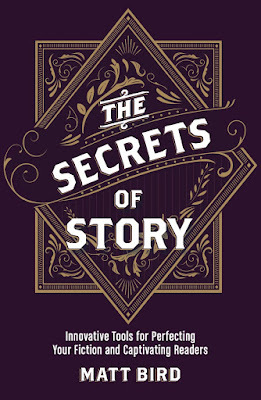 It is the icing on the cake for the how-to writing books I've read. In fact, it is more than icing. It has become some of the main ingredients I've used to improve my cake. May I add a thought here on your amazing template of 122 steps. Can you add another one. I'm talking about your "Where is the Understanding moment?" step.